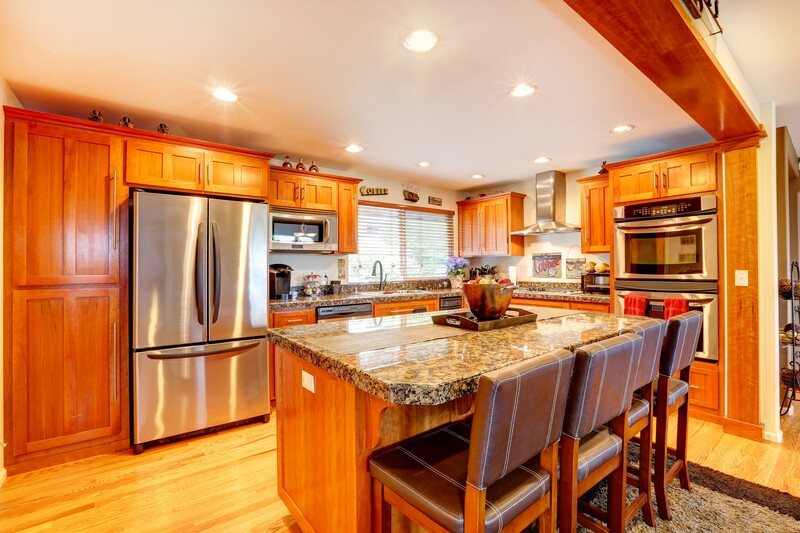 Granite remains the top choice for kitchen countertops for a few simple reasons; it’s durable beyond any other material available, it’s heat and stain resistant, and it serves as the perfect work space. However, the popularity of granite and other natural stone countertops has also lead to an increase in the variety, which, when you consider that each slab is unique, is virtually endless. Most homeowners start the process of choosing a new natural stone countertop with a vision in mind- the color and pattern, neutral tones or bright tones, and smooth or shiny. To bring this vision into reality requires time and attention to the details, including the material, the color (base color as well as veining and accent colors), the edge profile, and the surface finish. That high-gloss polished shine mentioned above is likely the first image that comes to mind, however, there are a number of finishes available. The finishing process can modify the appearance of granite, marble, quartz, and other natural stone countertops and some finishes produce results that fit better with your design style and the slabs intended use than others. In other words, the finish you choose can alter the way your countertop feels, looks, and performs by changing the stones reflectiveness, its overall wear resistance, as well as it's maintenance requirements. Different finishes can also add a unique look to the countertop by highlighting the colors and patterns within the stone. Done right, a finish can make stains less discernable and reduce the slabs porosity. Below is a description of several common finishes and their specific qualities. Polished granite has a high-gloss, mirror-like shine that’s very reflective, which draws attention to the stone. The finish showcases the flecks and specks that are featured in the stone and is probably the most popular design choice for kitchens. It adds a sense of elegance and richness to space. A polished finish is less porous, making for a smooth and hygienic surface that’s perfect for the kitchen. Tip: To maintain the glossy shine of polished finishes and to prevent scratching on smoother surfaces, extra care is needed to maintain polished countertops. This includes using appropriate cleaners and cleaning techniques. A honed finish also referred to as a matte finish, offers a buffed, muted appearance that’s smooth to the touch. It has a lesser degree of reflection than a polished finish, but they give to have an incandescent effect, adding a lot of charm and a rustic feel to space. Like polished granite, the surface of honed granite is smooth and therefore provides a good work surface. In a contemporary kitchen, granite with a honed finish is the perfect option. By choosing honed granite, you get the durability of a high-end natural stone countertop and a modern look. Tip: A honed finished is considered the best option for marble countertops because it won’t detract from the stone’s delicate veining. If you like texture, this finish will give you more of a rough feel to the stone. The sandblasted finish is more commonly used on outdoor surfaces and gives a weathered look to the stone, which is why it’s commonly used when matching new stones with older pieces. It can make your old and new stone look uniform so that you won’t be able to tell that they are two different pieces. Tip: Limestone is the most common stone that is sandblasted because of its soft nature. This is one of the new and trendy natural stone countertop finishes, a leathered finish will bring out the stones natural features, with a distinctive rough look that’s created when an abrasive diamond brush is applied to a honed surface. The result is a soft, textured look reminiscent of leather. A leathered finish won’t reflect any light, resulting in a rustic look. Although these surfaces require daily cleaning, the leathering process seals surface pores closed, increasing stain resistance, and by being non-reflective, the surface easily conceals smudges which makes it the perfect finish for heavily used areas. 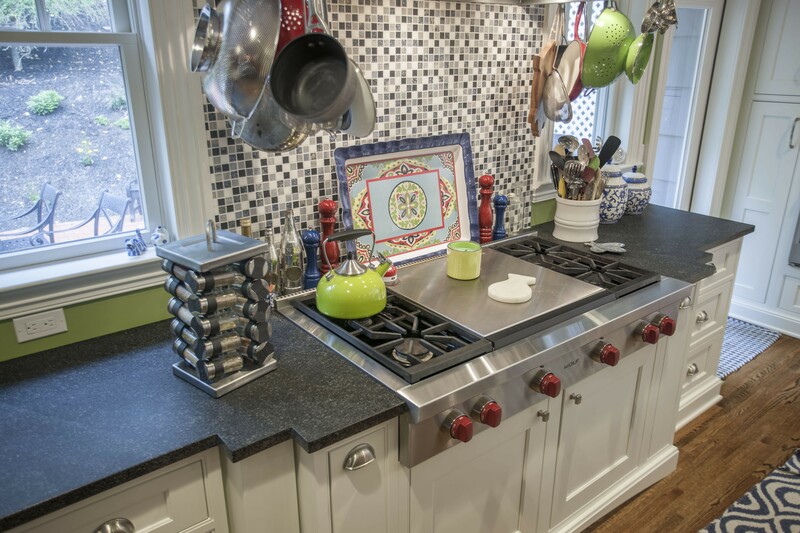 Tip: A leathered finish is recommended for darker granite slabs.